Ireland picked up their first win of the 2018 World Cup qualifying campaign last night but it wasn’t pretty against Georgia. 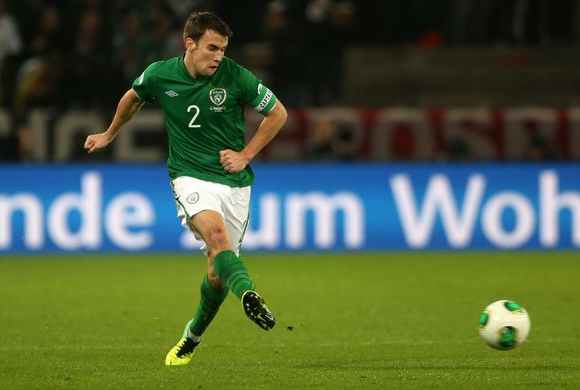 What is Seamus Coleman’s best position? Kyle Cotter discusses Irish international Seamus Coleman who has filled a number of roles at both club and international level. Ciaran Kelly discusses the news that Aiden McGeady is the latest to join the Irish contingent at Goodison Park. After last week’s international friendly with Wales in Cardiff, co-editor Barry Landy caught up with Republic of Ireland defender Darren O’Dea to talk qualification hopes and why the players back Giovanni Trapattoni.